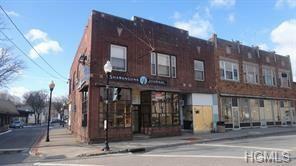 Excellent opportunity to become part of the gentrification of Ellenville. 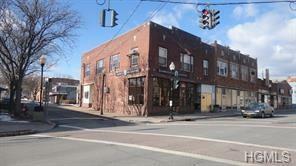 This brick building complete with ornate tin ceilings offers one of the best corner locations in the Village. Located across from the Chamber, municipal parking and the famous Shadowland Theatre, this is ripe for the designer, artist, unique retailers looking to capitalize on the excitement of downtown. Take the whole space or half the space. Great visibility and charm. Property faces Canal Street, corner of Market. Call today for your personal viewing.